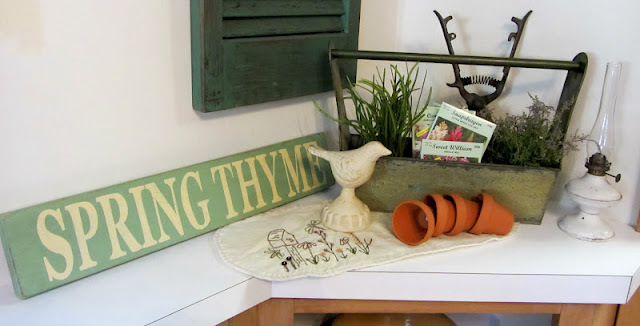 As Easter is drawing near, I have removed the "Spring Thyme" sign and hung it outside my front door, and removed the bird finial. 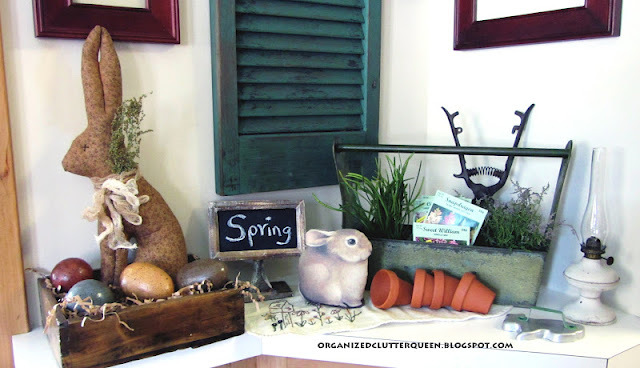 I purchased a great primitive bunny last weekend at the Tattered Angel and some prim Easter eggs and placed them in my great little grungy wood box on an over sink shelf. 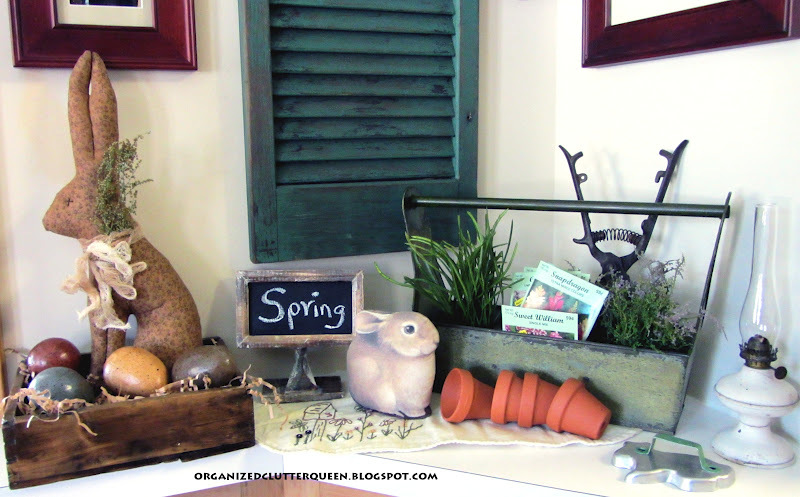 But added to my kitchen corner display with "another" bunny, it worked! The original "Spring Thyme" display and my prim bunny and eggs in wood box, weighted cloth bunny, prim chalkboard sign with "spring" on it, and a bunny shaped vintage cookie cutter on the lower right. I like it! 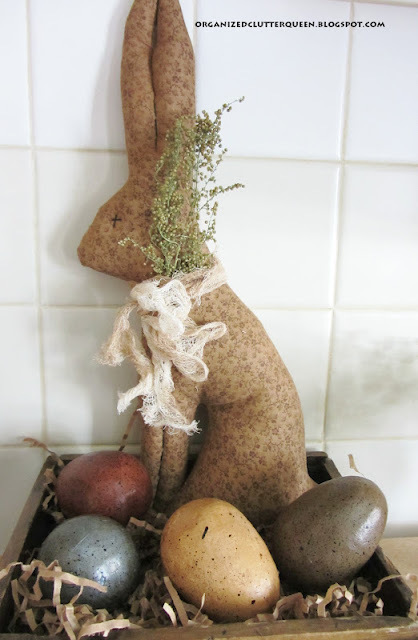 Although I have very little primitive in my home...it always brings a smile when I see it...I like the bunny theme!! I like you new vignette. The variation in heights adds so much. Love the bunny. I absolutely LOVE this sweet vignette! Your bunny is a darling! I love it. Also like the colors of the frames with the color of the shutters. So cute. I just love your bunnies too cute! Primitives warm my heart. Love the look you created. Awww that bunny is beautiful!!!! Just love it!!!! You give me so many great ideas but I am having company and too busy cleaning unfortunately! LOL! I just want to "play" and decorate and create! But, I guess if I don't clean any decorating I do won't look too great. Happy Springtime to you and thanks for sharing!